This is a Korean made Weber piano which has lived in a gentle Georgia climate and has had very little play. The piano is fresh and young and plays and looks beautiful! Perfect for a holiday gift or to add just the right atmosphere to a space in your own home. 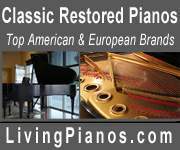 Many people appreciate the rich tone of Weber pianos, which come from a company producing pianos since the 1950’s. This piano has many features found in world-class pianos which enhance the tone, like duplex scaling which adds the non-speaking length of the string which resonates sympathetically adding rich harmonics to the tone. The action is finely crafted from hardwoods (no plastic as in lesser pianos). This Weber piano has a classic look with spade leg with brass ferrule, sculpted music rack, and is the perfect size for most homes – big enough for a rich sound, yet it can fit nicely in a smaller room. It’s hard to come by a piano like this in the used market which is in such fine condition. 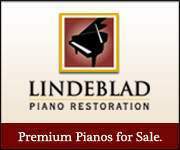 The piano was tuned last month and is well suited for beginners or advanced players. Original sales receipt available and included in final sale. The original purchase price in October, 1999 was $13,589.00. Cash only. Delivery not included. Serious inquiries only please.